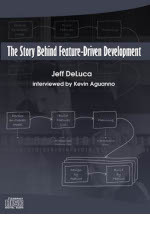 In this 60-minute interview with Jeff De Luca, the co-creator of the FDD method, he tells us about the story behind the development of the FDD approach: how it was conceived, its early evolution, and how it was introduced to development teams and organizations. What sparked the original idea for its creation? What early lessons helped change the approach to the format we know today? How was it first introduced to the broader software development community, and what were the reactions?